One winner will receive this roomy bag perfect for a weekend get away and $60 cash ( or Amazon gift code, winners choice). 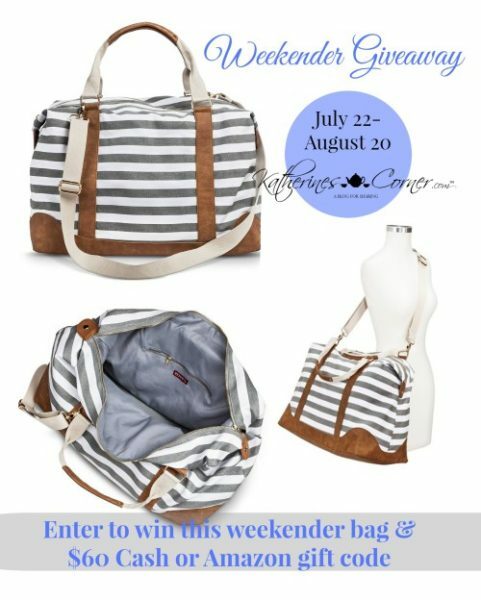 Subscribers to Katherines Corner have the opportunity to win a roomy bag perfect for a weekend get away and $60 cash ( or Amazon gift code, winners choice). I love the Handmade Soap and Wood Soap Dish Set. It is so unique, useful, and pretty.